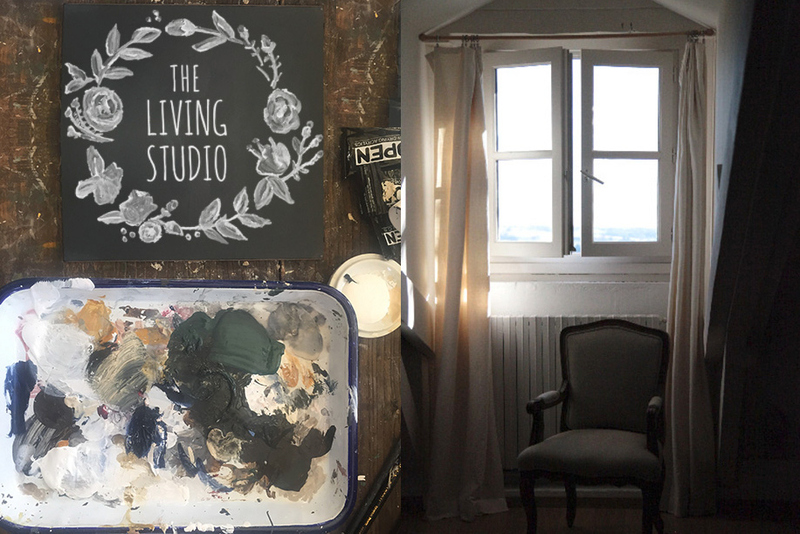 We have a new video for the Living Studio Video Series! The free series that is all about your favorite artists sharing how they create wherever they go. 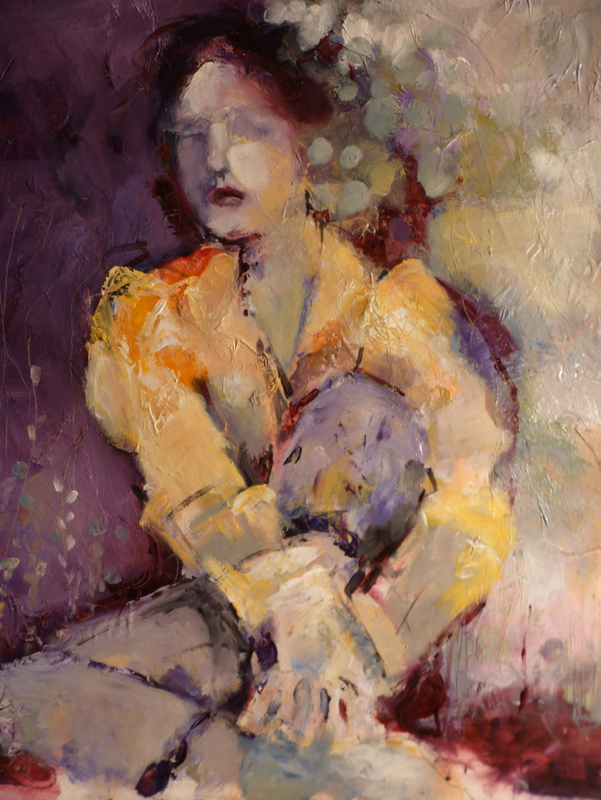 Kate Thompson is our guest artist this month and sharing what the Living Studio means to her! 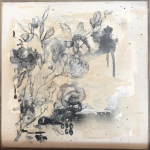 Kate will be sharing how to create substrates using plaster, stencils and lace! 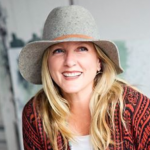 I have always been a creative person, studied and received a degree in Fiber Arts and worked as a textile print designer in the apparel business in Los Angeles for 20 years. My real education started in 2009. I started painting and I haven’t stopped. I became so focused with my work and developed a discipline to practice every day. After a couple of years of devoted practice I saw improvement. The point is I was not a natural painter. I really had to work at it and found I loved the discipline I put on myself to grow as a painter. 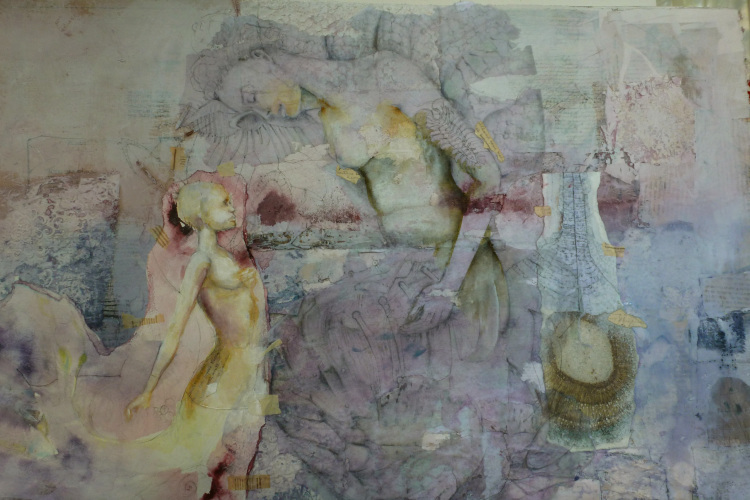 I am a Mixed Media Artist and what that means to me is the combining of mediums. I work with watercolors and gesso, acrylics with oil, pastels with inks or all of them put together. I am an experimenter. I create my own substrates using vintage linens or painting on ledger paper. 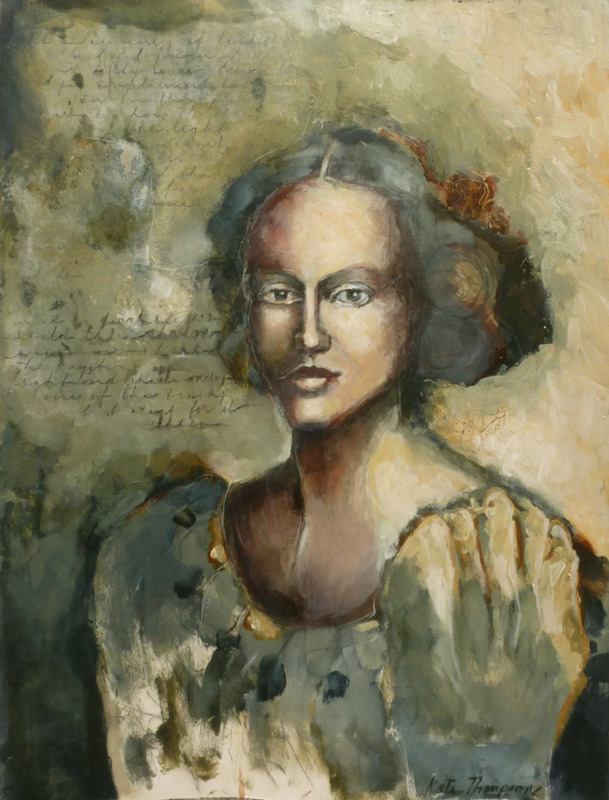 I also paint on more traditional substrates such as watercolor paper and canvas. I like adding plaster to everything! Right now my focus is on portraits and figures, but I am open to painting flowers , buildings and animals (as you will see in my new class). I like painting in muted colors and earthtones. I also love to paint color and this year every one of my paintings will have some pink in it. I really love pink which is surprising because I was always a tom girl. I teach online as well a studio classes. I teach all over the United States, here are a few venues- Random Arts, Saluda, NC, Donna Downey Studio, Huntersville, NC, Art and Soul, Portland, Virginia Beach , Art Unraveled ,Phoenix as well as private workshops. My passion is focused on the creative process and I am as passionate about teaching as I am at creating art. I sell my work on my website as well as at all teaching venues. This is a free video series over on my creative network! Join me for a FREE art video series! In The Living Studio Video Series you will have the opportunity to watch technique and medium videos from some of your favorite artists. The hope is that you will learn what practices different artists use to make their art a daily practice and how they create their studio wherever they go. The link doesn’t work Jeanne.